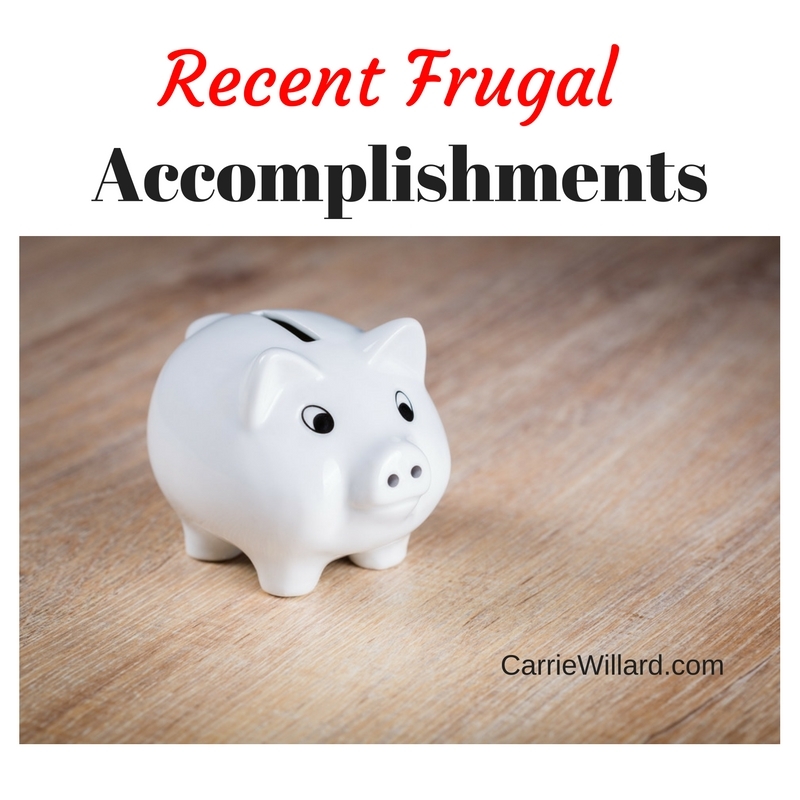 There are more than 5 things here, so “recent frugal accomplishments”, rather than “5 Frugal Things” it is. I earned a $10 Starbucks gift card with a survey phone app called Surveys On The Go. There are only two survey apps I can recommend (I’ve tried several, they all got deleted except these two). One is Google Opinion Rewards. This one has better payouts (sometimes as much as .50 for less than a minute of work); the surveys are sometimes only one or two questions. It pays you via points, redeemable for music, books, etc inside Google Play. The other is Surveys On The Go. It pays gift cards. 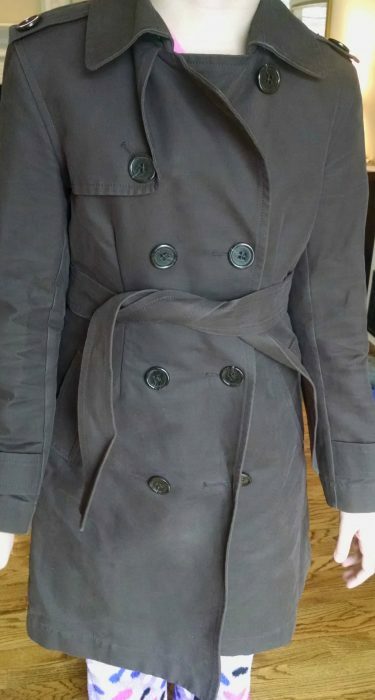 My daughter picked out a lovely trench coat from ThredUp for less than $20. It looked brand new. I also got 4 adorable Sunday dresses for the little girls for $24. 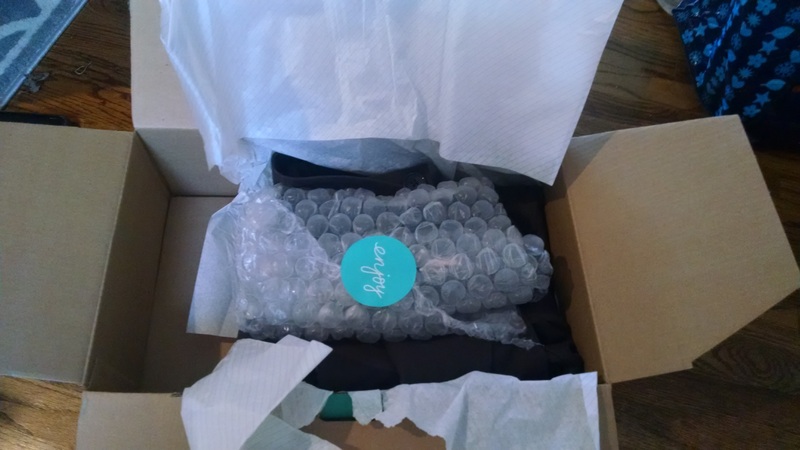 By the way, I’ve found that the returns process with ThredUp is effortless. I’ve had to return items three times now due to fit issues, or because something the girls ordered wasn’t to their liking. All I do is print out the free return label, slap it on the box the stuff came in, and send it back. A few days later, the money is back on my card (or in my ThredUp account if I desire). Take THAT, eBay. I’ll never buy kid’s clothing on eBay again. Speaking of my daughter (I think my frugal ways are rubbing off. Someday I’ll write a post about how I gently turned my daughter on to used clothing instead of overpriced, cheap quality retail. 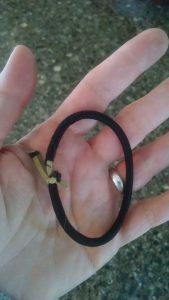 ), I found this hair elastic, which get used for buns for ballet. Obviously it broke, and she simply knotted it. That’s my girl! Encouraging a child’s tightwad genes to make their full expression is a frugal accomplishment indeed. Ruby’s Rapunzel doll’s hair was a matted mess. 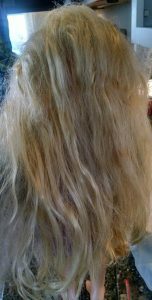 I honestly thought it was beyond help, but after a quick Google search, I simply wetted the doll’s hair, rubbed in some conditioner, and she and I got to work. I’ve begun spot-cleaning my shirts (that don’t look or smell dirty now that it’s winter and I shiver all day instead of sweat) when something spills on them, instead of throwing them in the laundry hamper. Not only does this save money on laundering costs, it also makes them last longer. I’ve also been hanging my tops instead of putting them in the dryer. It always pays to insist on a good customer experience! You might get a $10 gift certificate for Almay, a free bag of diapers, or you might get a $10 credit for AmazonFresh. 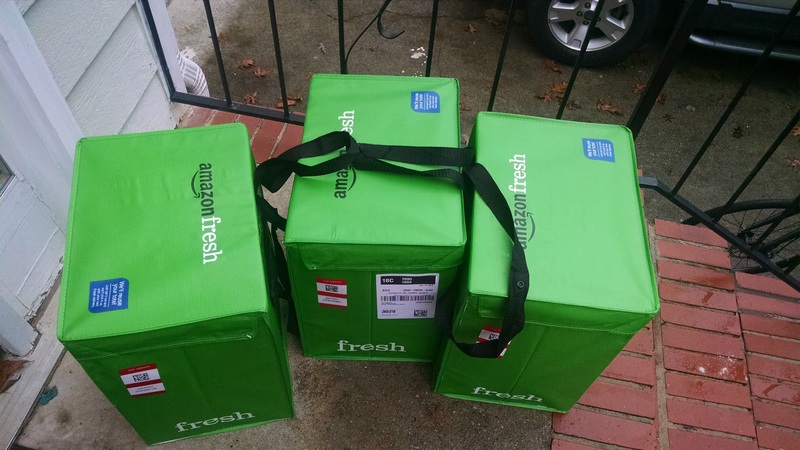 The latter came after the driver didn’t pick up the 14 cooler bags that were sitting on my front stoop (they are supposed to pick them up when they bring the new delivery). It was drizzling, and I suspect the driver just didn’t want to bother. I sent a (polite!) email to Amazon customer service, and they replied with a $10 credit on my account. That’s 3 pounds of chicken breasts and 2 loaves of bread, people. Totally worth the minute it took to send that email. Finally, our realtor sent an offer to the seller of the house we’re coveting, at $15K less than the listing price. If this offer is accepted, that will be the most frugal accomplishment of the year. I bought some cheap groceries at Bargain Hunt, namely a .30 box of organic crackers, two .50 boxes of organic oatmeal, gluten-free granola bars and other stuff. Read more posts tagged “my frugal accomplishments“. What frugal things are you up to? Good to know about ThredUp & their return policy. I have yet to order anything, although I have been checking their site quite often. 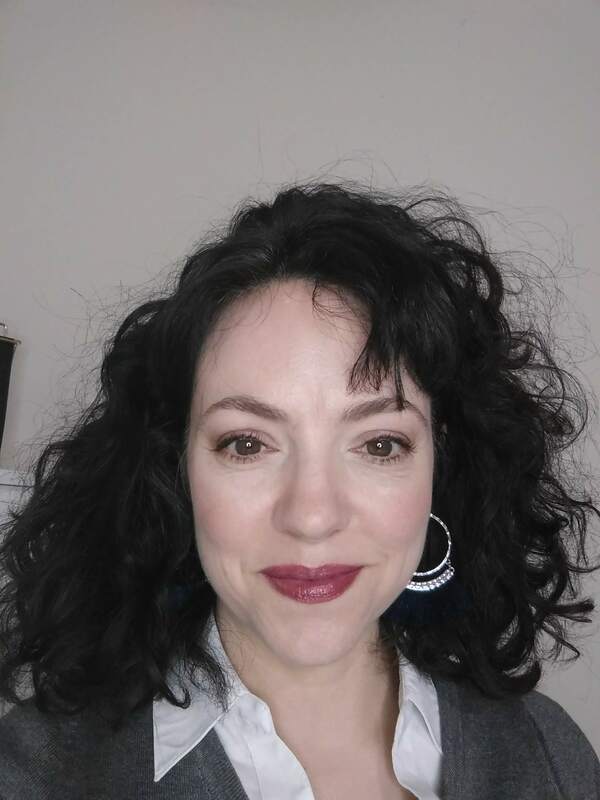 Sending happy thoughts to you about the house…I hope your offer is accepted! Thanks for all the great info. on saving some money. Its always nice to say look at what I got for this low, low price. It can be lots of fun to see how much you can save, It can be a fun challenge, if that’s how you look at it.